Do you want to improve the security of travel, comfort of packing your car trunk and save time? Look at our products, and most of your problems related to the preparations for the journey will disappear. 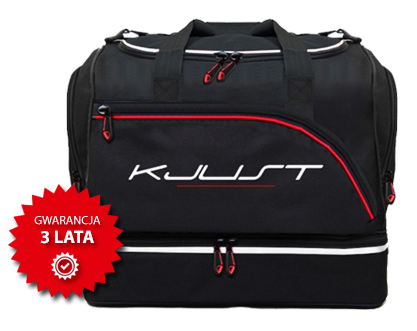 We offer tailor-made car-bags sets dedicated to particular car models, branded with KJUST. They make your packing for a trip faster and more comfortable. Traditional travel bags and suitcases are out of fashion. Thanks to our dedicated car bags you will pack up to 30% more goods in comparison with traditional bags or suitcases. We are sure, that our car bags will improve your journey emotions. Each new product is born from the need, and so it was with the first products we designed. Based on own experiences and experiences of other drivers as well, we created products, whose main goals were to pack comfortable and easy, and to reduce time of loading, taking into consideration maximum capacity of single bags and the entire trunk as well. We did it successfully. Our car bags solve all above mentioned problems, which touch almost everybody who travels by car. Our car bags are produced by experienced polish and foreign companies, who have long traditions in production of such goods. We do believe, that the outfit must go with the utility together therefore our designers do care about all the details, making our products not only user friendly but also elegant. Do work hard to position the Kjust brand as a specialist for car bags systems. Our travel bags are made of fabric of highest quality polyester 1680D, with a special polyurethane coating. This is a very durable fabric, resistant to temperature amplitudes (-50 till +80 C°) and to moisture. Having in mind the highest quality of our bags, we give for Premium Line 3 years guarantee.